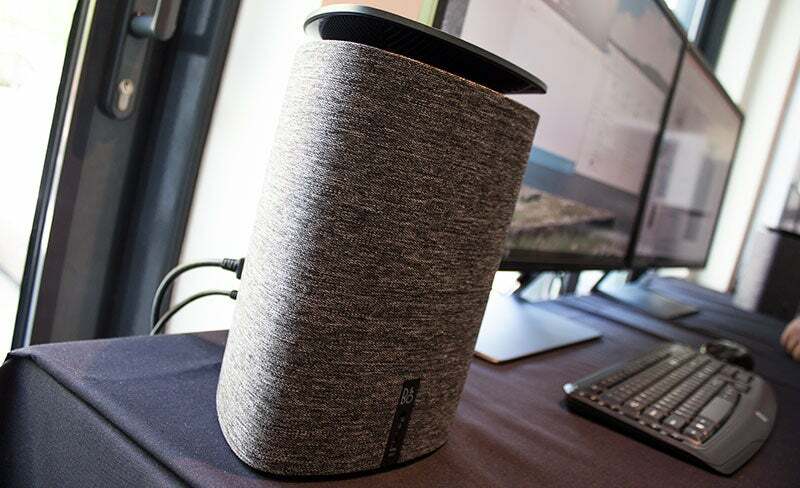 The HP Pavilion Wave looks more like a speaker than a desktop. But beneath that grey-speckled cloth is a fully featured computer, with configurations packing in powerful Intel chips all the way up to Core i7, 2TB of SDD and 16GB of memory. 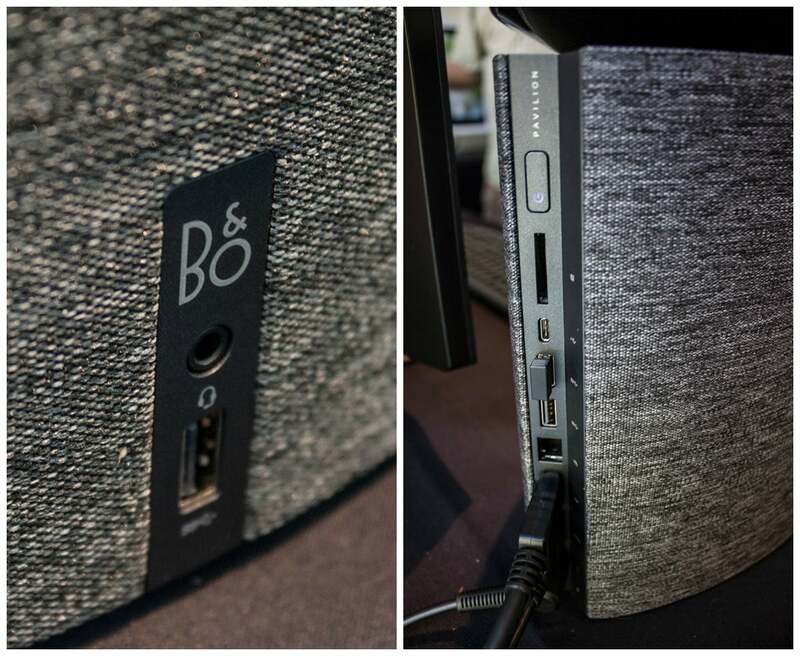 It also has every port you'd need, including USB Type-C. And the reason it looks like a speaker? Because it is one. 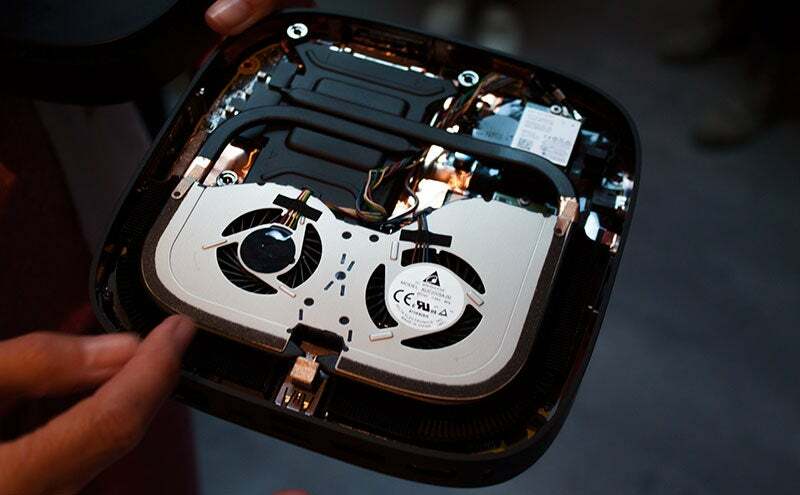 In addition to being a computer it's a 360-degree speaker. It's more like a fashionable and functional piece of furniture than a computing machine. The Wave, being a part of HP's cheap Pavilion family, starts at just $US530 ($701) and is available September 16 in the US. Australian pricing and availability have not yet been announced. However, the Elite Slice is for a different kind of machine. Although HP will be selling the Slice online, it's built with business in mind. Like the Pavilion, you can get the Slice with a variety of Intel chips and it is loaded with ports galore. But its biggest feature is that it's completely modular, a desktop tower that you can build piece-by-piece to have the exact features you want. The base model, which looks more like an Apple TV than a desktop, comes with all the basic desktop necessities. 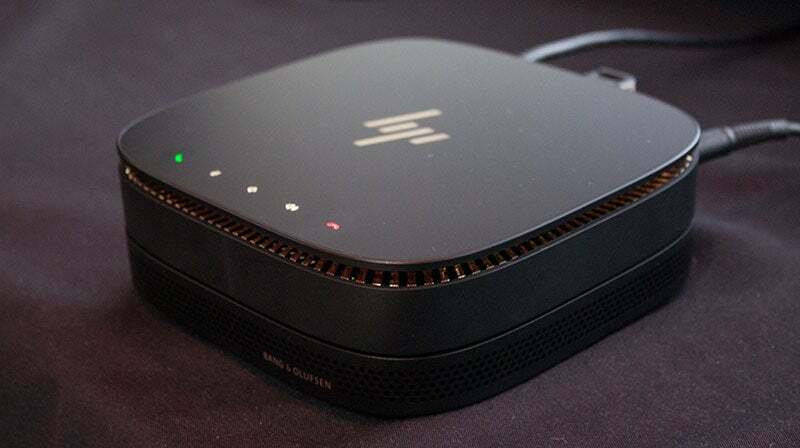 But for more money (pricing not yet available), you can add different modules like the HP Audio Module for speakers, an optical disk drive and different top panels with wireless charging or touch-sensitive buttons for video conferencing. It's a conceit borrowed big from Intel's popular NUC line, though the NUC requires you to supply your own hard drive and ram. In the US, the Slice starts for $US700 ($926) and obviously goes up from there as you add features. It will be available sometime in September. Australian pricing and availability have not yet been announced. While it's primarily intended for businesses, I wouldn't mind HP running with the idea for users outside of boardrooms. "The Wave, being a part of HP’s cheap Pavilion family, starts at just $US530 ($701)"
I'm guessing the 16gb ram, i7, 2tb SSD version will cost more than a little more than that? ?